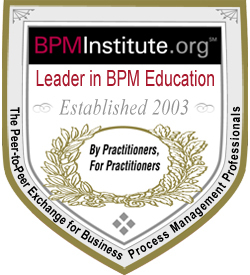 BPMInstitute.org is the largest practitioner-led community of BPM professionals in the world, with over 50,000 members. 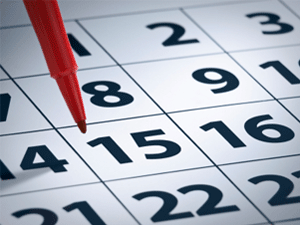 Member services include training and certification, BPM events, a wide range of vendor-neutral BPM and related content, as well as face-to-face and online networking. The content includes works from industry experts and thought-leaders that deal with holistic management and aligning all aspects of an organization with the wants and needs of clients. It also promotes business effectiveness and efficiency while striving for innovation, flexibility, and integration with technology. Whether you are interested in working toward a BPM Certificate or just want to take a few individual courses to brush-up on the latest developments in the field, you have access to the training you need—online, on-demand, or face-to-face. BPMInstitute.org's Certified Business Process Management Professional program supports the advancement of BPM professionals by providing a way to measure and document the knowledge and skills required to be recognized as a competent practitioner. BPM certification helps employers define job objectives, evaluate position candidates, assess employee performance and motivate employees to enhance their skills and knowledge. Certified BPMPs enhance their professional experience by obtaining recognition of their competency, and proving that they are professionally qualified to practice their profession. Let everybody know you've achieved that mastery by becoming a becoming a Certified Business Process Management Professional from the industry's top BPM educational organization.